For those accustomed to regular travel, dealing with paperwork, visa offices, health certificates and the often endless checklists to fulfill when obtaining a work visa for your next destination are pains worth avoiding at all costs. With China now comfortably placed as the world’s second largest economy, it’s no wonder that millions of business travelers include China as one of their top destinations each year. If you happen to be one of them, this is what you need to know before you proceed with your China visa application. You might not actually need a visa! You’re using China as a pit stop before your final destination, visiting Beijing before making your way to Hong Kong or Tokyo for example, and you’re in mainland China for less than 24 hours, you naturally won’t need a visa. 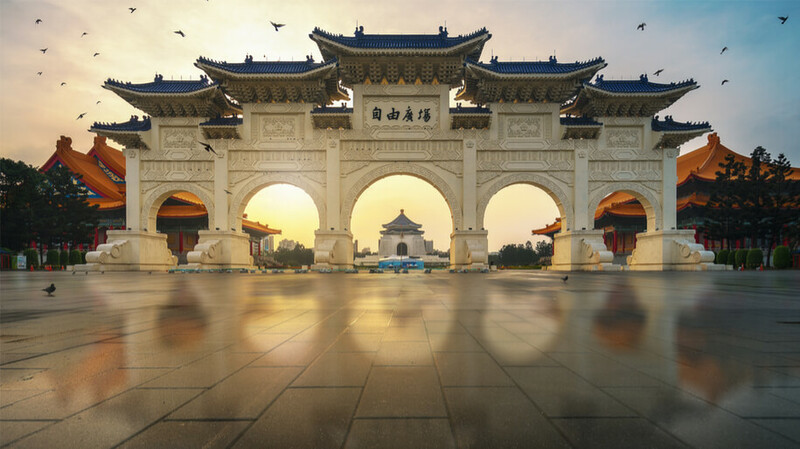 Again, you’ll need to be using China as a pit stop before your final destination but if you happen to be visiting one of these 18 cities, you’re free to roam around, take in the sights and sounds or conduct business meetings without a visa. If you’re from Japan, Singapore or Brunei and need to conduct business or visit family members, China grants you a 15 day stay without the need for a visa. The city of Hainan allows organized groups traveling with five people or more to stay up to 15 days without the need for a visa. 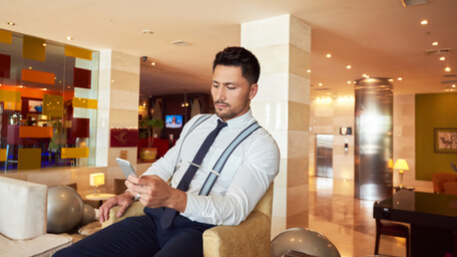 A private airport transfer is the safest, quickest way to get from the airport to your hotel. 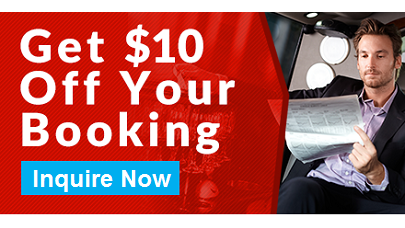 China Car Service is a trusted transportation service helping foreign business travelers for almost two decades. We provide door-to-door service at competitive prices. Chinese business visas aren’t one size fits all! If you’re not lucky enough to qualify for visa free travel in China and need to pursue a China visa application ahead of your trip, it’s worth remembering that there is more than one type of business visa available in China. 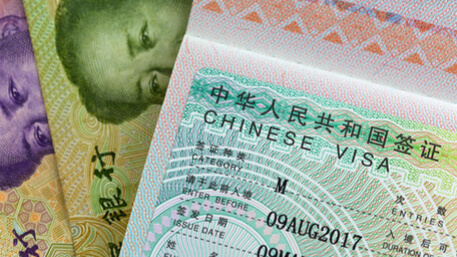 As one of the more regular business visas on offer, the F visa applies to individuals who’re invited to China for non-commercial business exchanges, education events, science related expeditions or medical visits. If you’re visiting China to attend the Canton Fair for example, or you’re inspecting factories or possible manufacturing sites for your goods, the F visa will apply. It’s important to remember that to qualify for an F visa, you’ll require an invitation from the business entity you’re visiting. If you’re visiting the Canton Fair you can apply for the invitation on their official website. If you’re traveling to China to conduct regular business or trades, this is the China visa application you need to pursue. It doesn’t allow you to be employed or work for a company registered and operating in China, but it does allow you to trade with them. If you plan on doing business in China and being paid by a company registered and operating within Chinese territory, you’ll need to get a long term Z visa. China won’t grant this visa unless the company you’re working for is able to prove that you’re an expert in your field. If you’re found to be earning money in China without a valid Z visa, you will be deported. The visa itself is only valid for 30 days, which means that when applying for it, it’s best to apply for a temporary residence permit that lasts 5 years under the same conditions. Be sure to have the correct documents before applying for a visa! After disembarking, follow the clear signs that will lead you to the 72-hour visa processing information desk. Apply for the visa in person. After approval, make sure you confirm the information on the stamp and make sure it includes the date you need to be back. 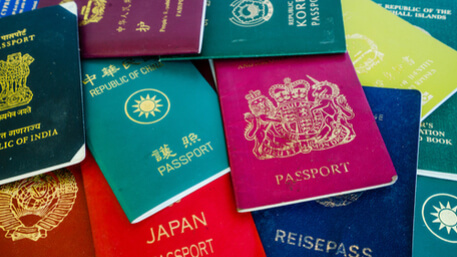 A valid original passport valid for at least another 12 months from your departure date. With at least two blank visa page still open. If that’s not the case, you’ll need to apply for a new one. If you have a valid visa within another passport, you will need to submit that passport along with your new one when applying for another visa. Tip: The visa application form can be downloaded and saved to your computer, where you can complete it and print it for submission. Be sure to complete every field, if you leave a section blank the application will be rejected and you’ll need to submit it again, if a field doesn’t apply to you, rather fill it with ‘N/A’. When printing, be sure to print and submit only single sided pages, anything printed back to back will be rejected, as will any handwritten forms. Tip: You’ll be surprised at how many travelers get visas denied due to poor quality passport photos at the time of application. 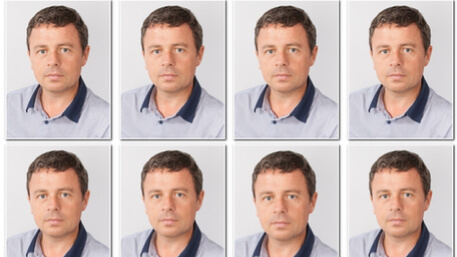 You’ll need to submit 2 full-faced passport style pictures with a white background for your application. Ensure the photos are clear, anything blurry or unclear will be rejected. It’s also essential that the pictures have been taken within the last 6 months. A relevant letter of invitation or employment depending on whether it’s an F, M or ZX visa you’re applying for, from the company you’re visiting or working with. Tip: With any China visa application for business, you’ll need to provide an original Letter of Duly Authorized Unit or Confirmation of Invitation issued by the relevant Chinese entity you’re planning on trading or meeting with. If your spouse or children are joining you for your trip, they’ll need to be included on the letter or invitation. Some people are more eligible for visas than others! China has recently introduced a three-tier system for deeming the eligibility of foreigners when applying for business visas, based on their education, salary, age, language skill and time previously spent working in China. Candidates who qualify for the top tier, by accumulating a visa score above 85 points, are able to receive paperless verification at borders, pre-entry visas and expedited approvals that encourage the highest qualifying foreigners to apply, live and work within China with ease. Candidates who achieve a visa application score between 60-85 points are deemed to have professional skills that are required within the Chinese labor market at the time of application. The application itself is no easier than usual though and still a fairly controlled process. The lowest tier of a candidate for a work visa in China is specifically for unskilled workers with a score of less than 60. A number of visas granted for this category are limited each year though and it’s not easy achieving one.